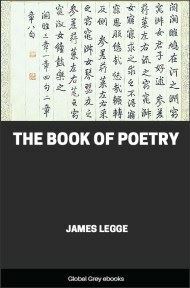 This is the unabridged translation of the Book of Odes (the Shih Ching) by James Legge. 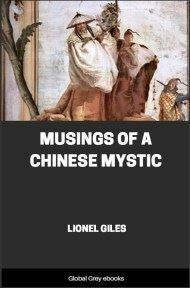 Legge translated the Chinese Book of Odes, one of the Five Chinese Classics, in 1876. 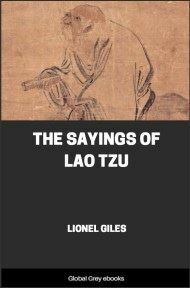 This edition, from a reprint published in Shanghai in 1931, includes all of the English translations, but omits the Chinese text found in the original publications. The Kuan Chü; mainly allusive. 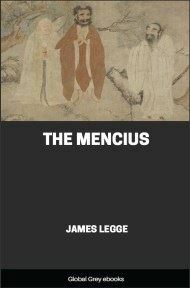 Celebrating the virtue of the bride of King Wên, his quest for her, and welcoming her to his palace. Of the fish hawks that o’er their nest rejoice! 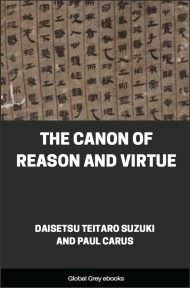 So fair, so virtuous, and so fit a mate? Sway left and right, as moves the current strong! So hard it was for him the maid to find! Sought for her long, but all his search was vain. Tossing about, one turns his fevered head. But caught at last, we seize the longed-for prize. Strike every lute, and joyous welcome sound. And cook to use with other viands rare. Let bells and drums proclaim our great delight. The Ko T‘an; narrative. Celebrating the industry and dutifulness of King Wên's queen. Resounded far in richest melody. To wear, unwearied of such simple dress. My private clothes I wash, and rinse my robes. Which of them need be rinsed? and which need not? My parents dear to visit, back I go.